Toyota has issued a voluntary recall on all Tacoma Access Cab pickups between the years 2004-2011. The access cab often referred to as extended cab is a little smaller than the full cab and usually has a partial door and little sitting room behind the front seat. This recall does not apply to the standard and crew cab models. The recall is for loosened screwed that attaches the seatbelt pre-tensioner and retractor for both the driver and front passenger seats. As the users of the truck continually open and close the doors, these screws are becoming even looser and eventually will bust, leaving unsafe driving conditions for the passengers in the truck.The problem is for models between 2004-2011 and since many of these trucks have been bought and sold to different owners, it becomes difficult to track down each and every owner of the truck to let them know it needs maintenance. So Toyota isn’t exactly sure how they are going to go about recalling all of these trucks. For now anyone that has one of these models it to contact Toyota at 1-800-331-4331 or go to Toyota.com/recall.This is Toyota’s fourth recall in four years making it the most recalls out of any dealership. Just last year Toyota recalled over 7 million cars due to faulty windows that would could potentially catch on fire. Before this Toyota had to recall over 800,000 cars for faulty transmissions. When a car has faulty transmission it could easily roll away out of park and run into something. Toyota was also fined over $1 billion after they failed to issue a recall for Lexus’ with acceleration issues. This was the largest settlement in U.S. history from any major car company. Toyota owners were furious after the value of their automobiles plummeted due to these acceleration issues. Thousands of lawsuits rolled in during this period. Toyota has a history of slipping and this most recent mishap is just another hit against the auto giant. 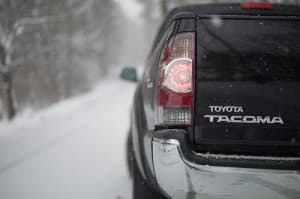 Toyota used to be a trusted name for safety and reliability, but if the company doesn’t get their act together soon they will lose a lot of business from a lot of angry customers.